Baseball in the Cedar Valley is a respected tradition with an enriched history. 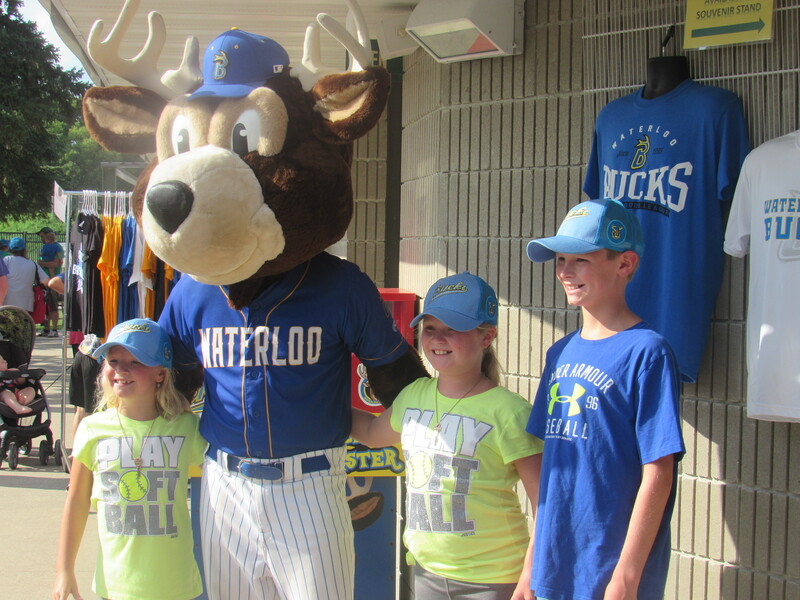 The Waterloo Bucks have greatly contributed to this baseball tradition since 1995. The Bucks take part in the community, both on and off the field. Part of the Bucks’ off-the-field involvement includes numerous public appearances by Bucks players, Bucks mascot “Bucky,” and Bucks staff members. One of the most recognizable character in the Cedar Valley is the team mascot Bucky. 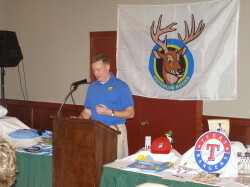 For well over a decade, Bucky has been entertaining and educating fans of all ages in and out of Cost Cutters Field at Riverfront Stadium. Whether it’s dancing with a lucky fan on the field or encouraging students to read, Bucky is always a fan favorite. Bucky brings excitement and attention to any occasion, such as birthday parties and fundraising events. He makes an immediate impact on his audience by promoting crowd enthusiasm and participation. Due to Bucky’s popularity, he is in high demand for public and private events throughout the year, so be sure to schedule Bucky soon for a special occasion. 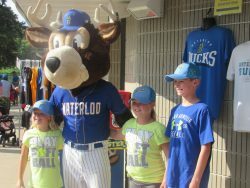 Call the Bucks at 319/232-0500, or e-mail the Bucks at corbin@waterloobucks.com to book Bucky. 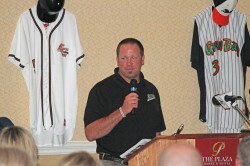 Many Bucks players have progressed into professional baseball and even into the Major Leagues. The aspiring pro ballplayers of tomorrow and their coaches are available for autograph sessions, photo opportunities, and special event appearances. They also offer guest speaker possibilities to give valuable insights on the intricacies of teamwork, leadership, and success in the business of America’s favorite pastime. 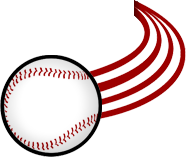 Players are only available during the baseball season, however, special circumstances may arise where a member of the coaching staff or multiple coaches are available throughout the year. To book a player or coach or to get more information, call the Bucks at 319/232-0500, or e-mail the Bucks at corbin@waterloobucks.com. General Manager Dan Corbin, Assistant General Manager Ben Knaack, and Sales Manager Morgan Hawk comprise the front office of the Waterloo Bucks. All are available to speak to civic, business, and other community group events. Both will be able to speak about renovated Cost Cutters Field at Riverfront Stadium, the team itself, upcoming promotions, and more throughout the Cedar Valley. They will also offer valuable insights on the intricacies of teamwork, leadership, and success in the business of America’s favorite pastime. To book Dan, Ben, or Morgan for an appearance, call the Bucks at 319/232-0500, or e-mail the Bucks at corbin@waterloobucks.com.